It is important to know exactly what a copyright is in order to understand how it is to be used or applied in a legal setting. 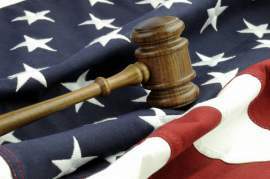 Copyright laws in the United States state that copyrights are legally exclusive rights that are granted to the author or creator of a creative work. Among these rights are the rights to copy, distribute, adapt, and amend the work. The right to copy, under copyright laws, is often applied in terms of the right to control the copying of copyrighted works, which means it prevents others from copying the work without permission. If you need legal advice and assistance, contact copyright lawyers. Copyright laws will usually impose a certain limitation in regards to copyright protection limits in terms of time. Though the periods of time will vary from jurisdiction to jurisdiction, copyright laws enforce copyright terms in almost all countries. In the United Sates, all works created after January 1st, 1978 have a protection period that is in place for the life of the author, creator, or owner of copyright, plus an additional 70 years after the date of such individual’s death. Anonymous works have a copyright term of 95 years from the date of its first publication, or 120 years from the year it was created, based on which is first to expire. 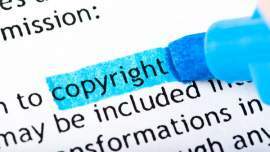 Works copyrighted to 1978 are subject to different considerations, and thus, it is important to consult applicable provisions in the Copyright Act. In the United States, the First Sale Doctrine is a copyright law that relates to the copying of copyrighted works. This legislation allows for the owner or creator of a copyrighted work to resell copies of copyrighted works that were obtained by legal means. 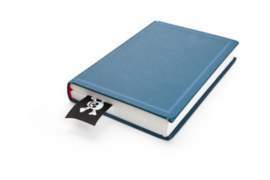 Therefore, the author of a copyrighted book can resell copies of that book in the United States. How copying such work can impact the market value of the copyrighted work. Quite possibly the most important among copyright laws, copyright infringement refers to the unauthorized use of copyrighted works. The unauthorized use of copyrighted works is done in such a way that it violates copyright laws and the exclusive rights of the creator or owner as granted by law. 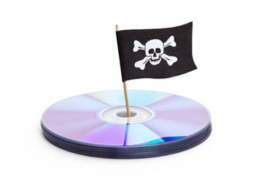 In modern applications, this would include the piracy of CDs, DVDs, and similar media in regards to music and audiovisual works. 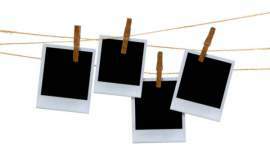 In copyright laws, works that are considered to be in the public domain are not protected by copyright. To be in the public domain means that the works can be used, copied, and distributed without any particular authorization from the copyright holder. This situation occurs when a copyright term expires or the rights themselves have been forfeited. Examples include William Shakespeare's works and Isaac Newton's physics formulas. Established in 1886, it was a Convention created for the protection of copyrights on the international level. Various countries are members to the Convention, which employs the principle of "national treatment." National Treatment means that a country will recognize the copyrights given to citizens of another nation as if such works were copyrighted within that particular country. An important facet of copyright laws that places a distinction of copyright protection from the expression of a particular idea versus the actual idea itself. Copyright laws grant protection solely to the expression of ideas, not necessarily the fundamentals of the idea itself. Copyright laws in the United States do not require that creative works to be registered in order to have copyright protection. Even though it is highly recommended to register all creative works, copyright laws grant protection to creative works upon their inception or creation. A Poor Man's Copyright is an alternative to registering a copyright and provides for a legal document establishing the creation of a created work as the sole property of the author or creator.